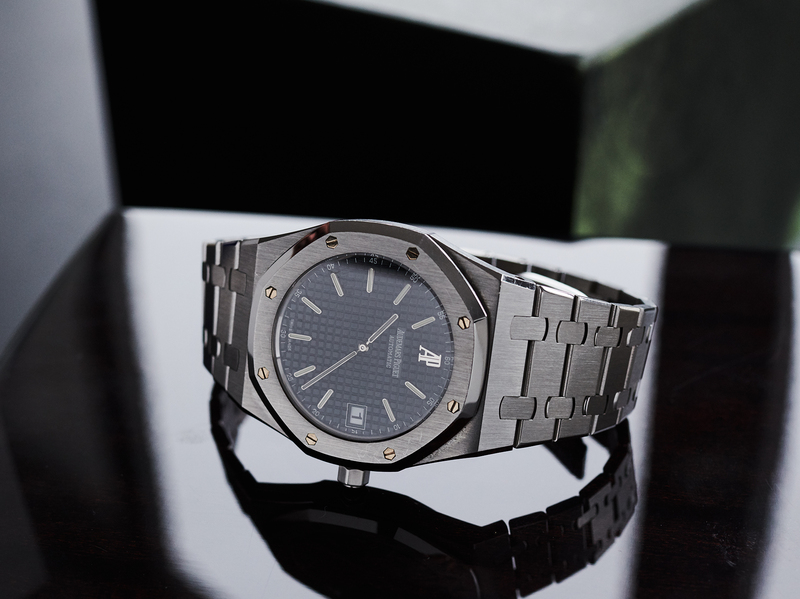 released in 1972 as the most expensive steelwatch of the planet, the AP royal oak is an icon of watchhistory today. 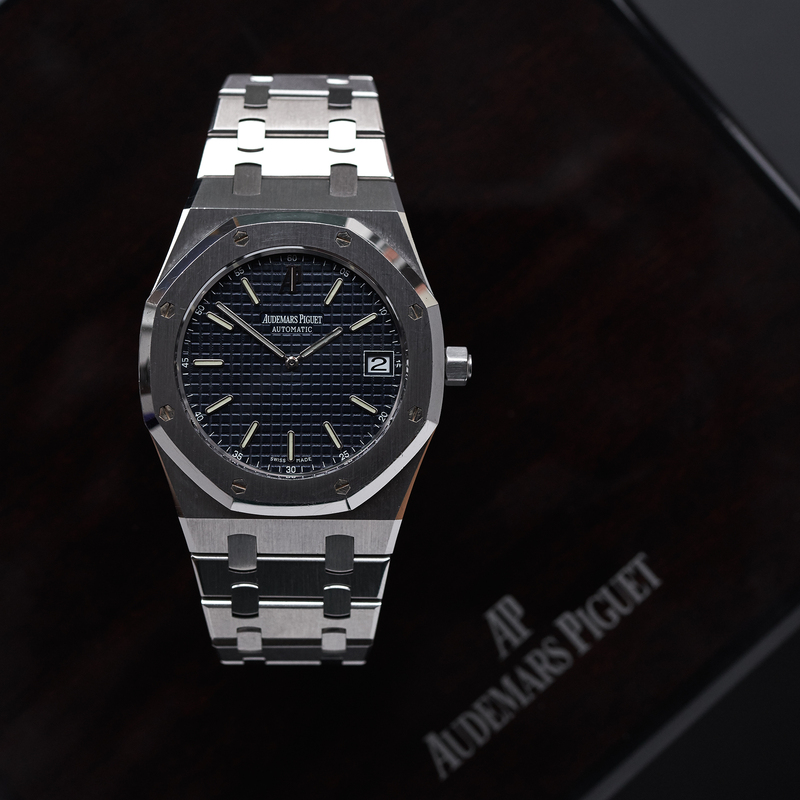 The reference 15202ST „jumbo“, we are happy to offer here, is the millennium follow up of the original reference 5402, being powered by the exact same caliber 2121. This expired first version of the 15202ST, with minutenumber scale around the indicies, produced between 2000 and 2012, is our absolute favorite apart from the original 5402. 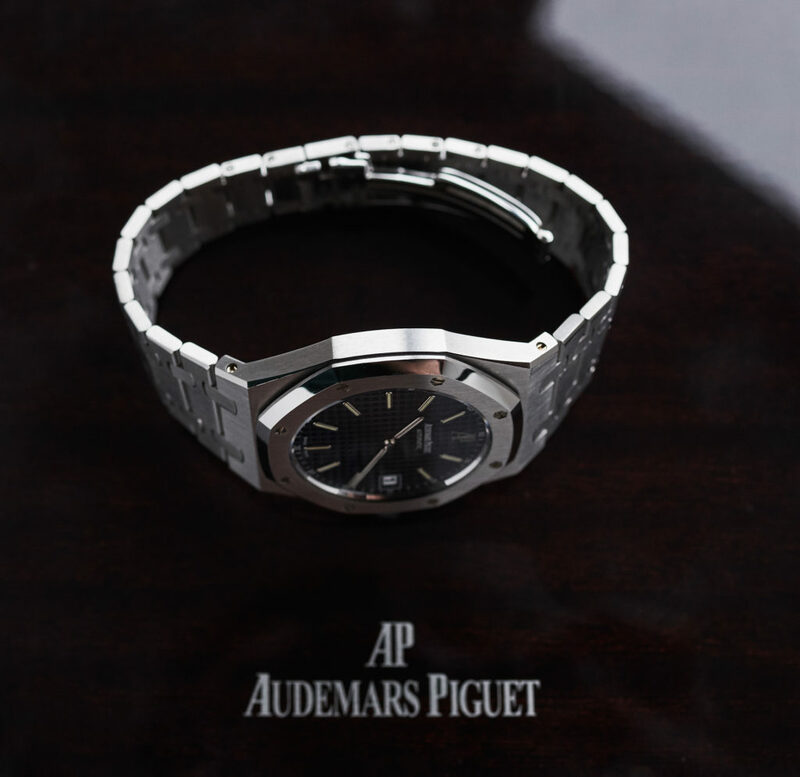 All proportions of the 39mm case are like Gerald Genta design from the 70s. 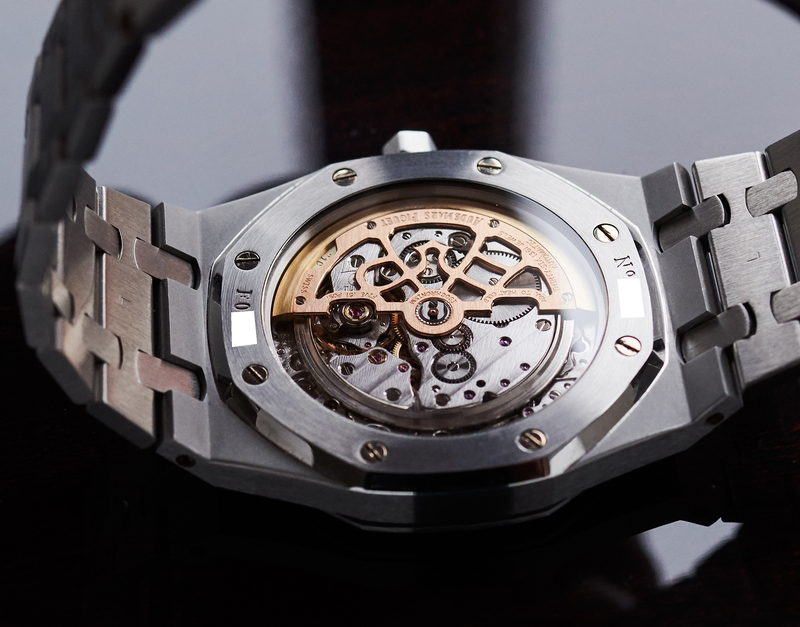 Only the caseback contains a saphireglaswindow instead of being of full steel. 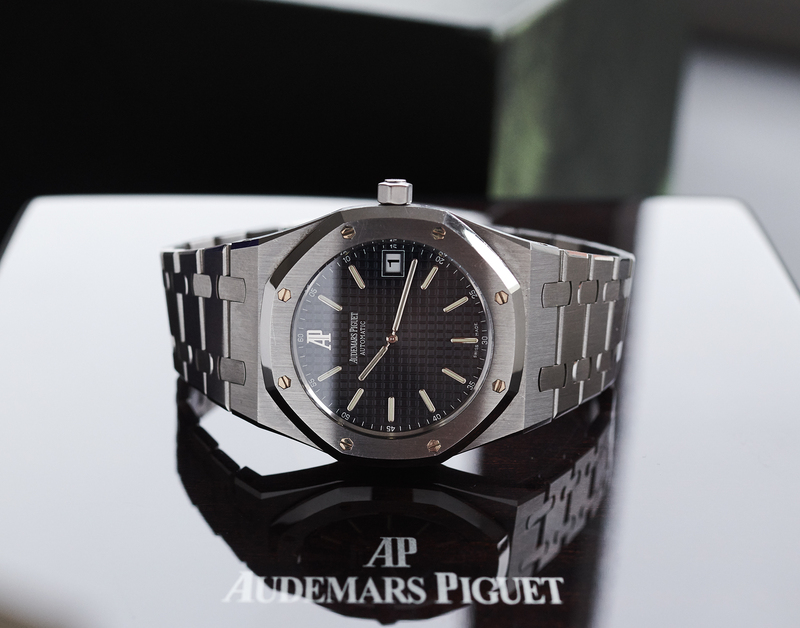 The minutenumbers on the greyblueish tappiserie dial make this watchicon even a bit more sporty compared to the version that is being produced currently. 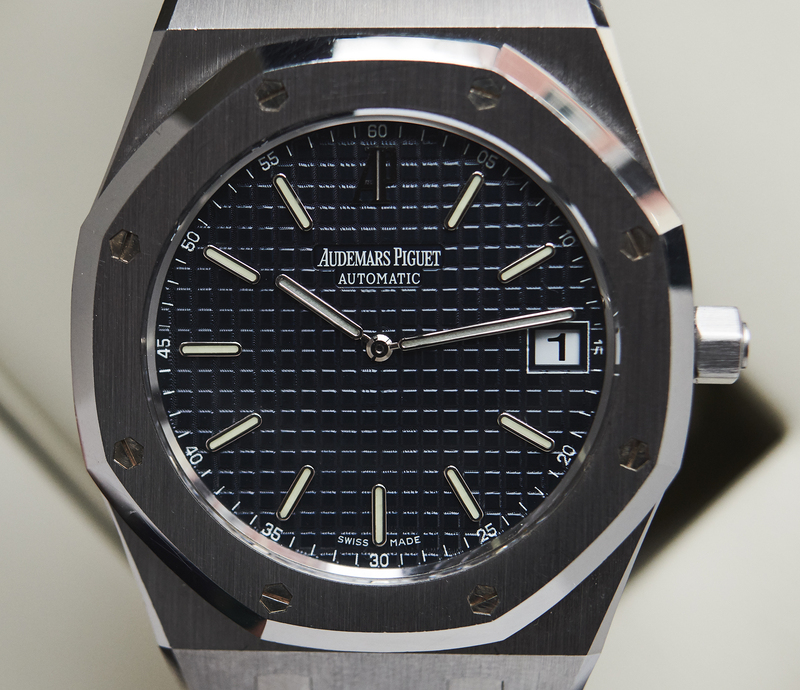 Also we prefer the more understated dial color a lot. 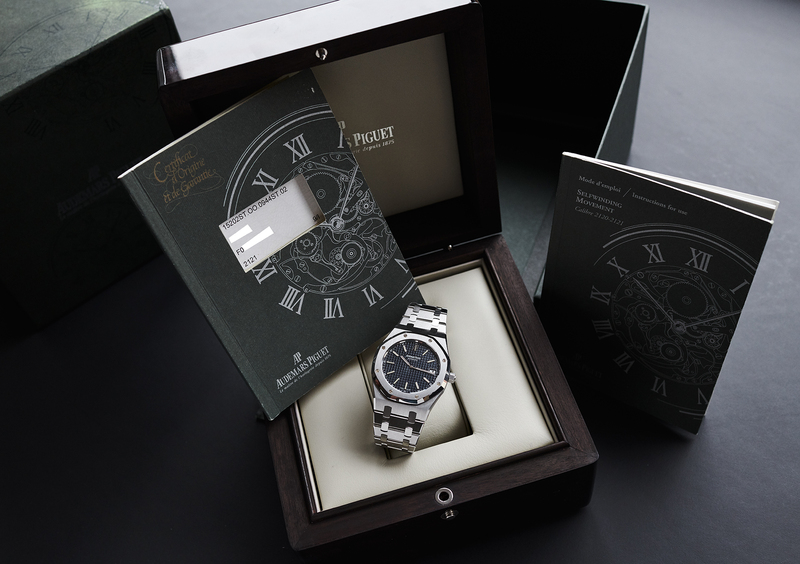 Our piece, and that is something not so easy to find anymore, comes in an absolute unpolished original condition and with all papers and boxes, the hangtag and the booklet, just like it was delivered out in 2005. 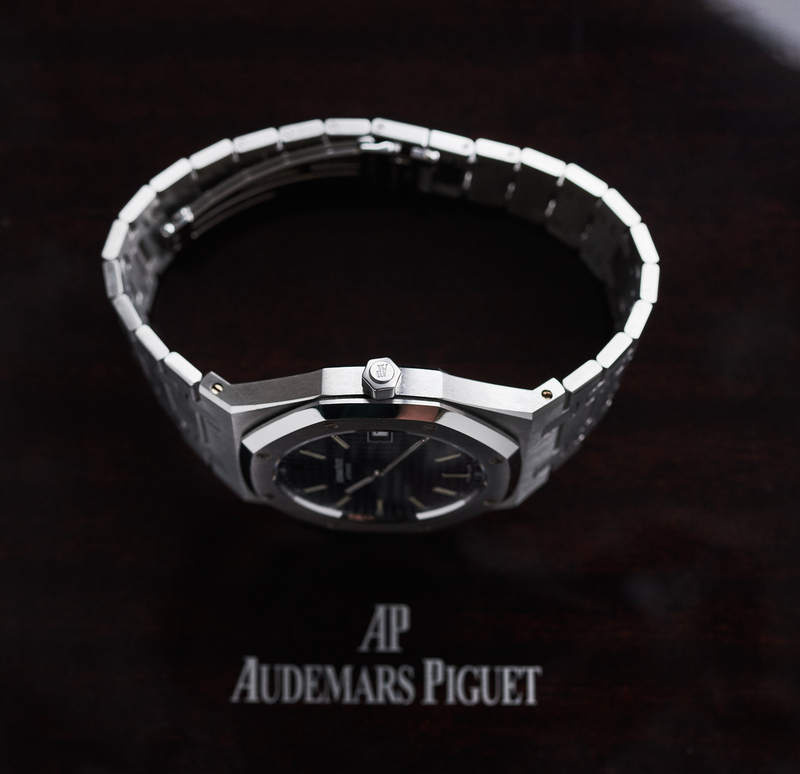 The automatic caliber 2121 received a movement service bei Audemars Piguet in 2018. 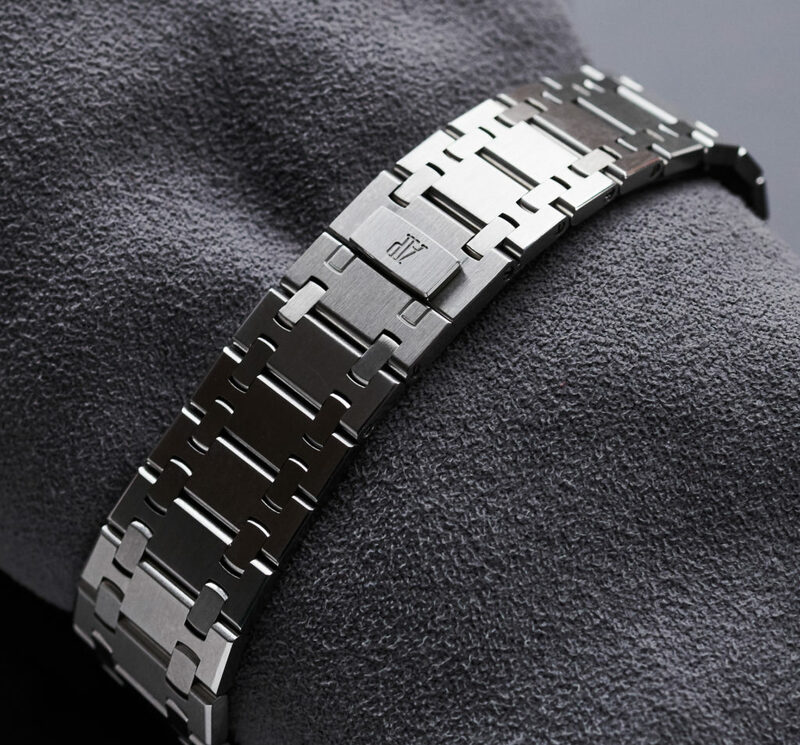 Just as the whole watch, also the bracelet is still unpolished and in outstanding good condition, coming with all 22 links.